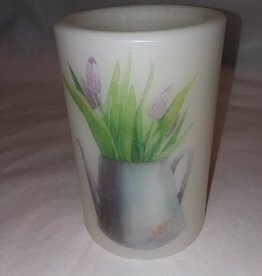 An old water can full of purple tulips depicted on this was lasting lite sleeve. 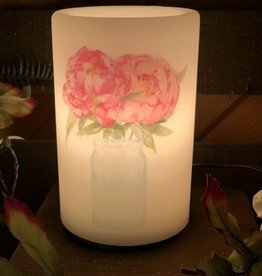 Reminds me of spring. 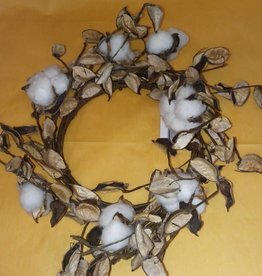 A 12" circumference wreath made of a cotton sprig. 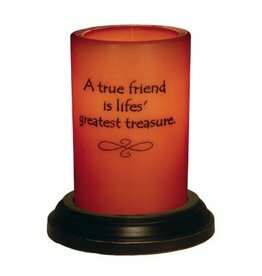 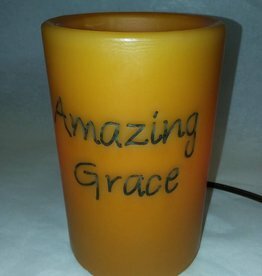 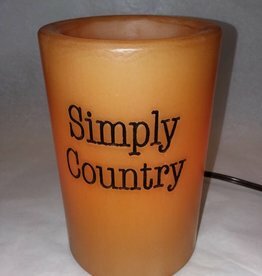 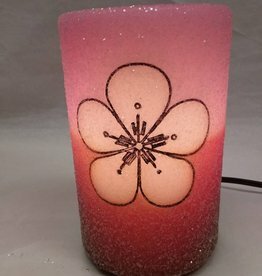 Makes a beautiful centerpiece with a nicely scented candle. 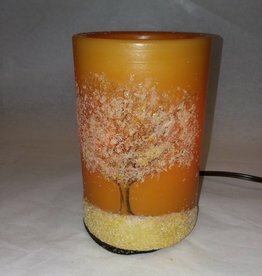 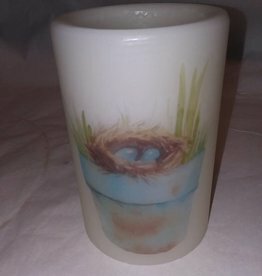 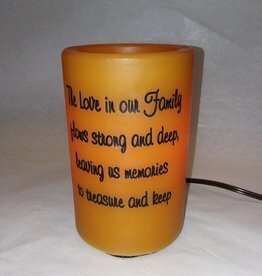 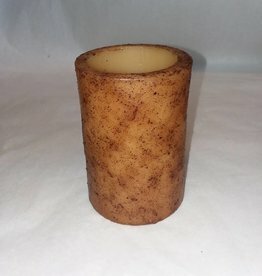 A robin built it's nest and laid her eggs depicted in this wax lasting lite. 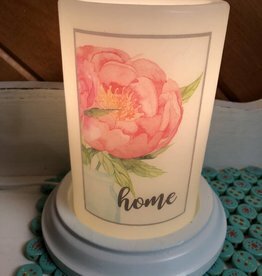 A beautiful remembrance of a summer day.